I have always found the terminology–really the nomenclature–of holidays to be disproportionately goofy. At least in terms of the coolness: importance ratios. Please understand. I don’t care. I care, because it’s the holiday in which one is legitmized to run around acting the fool. And to a young man growing up, it was far cooler than others. Yeah, yeah. I get it. I’m with you on the hypocritical way in which public schools can celebrate what is, arguably a religious holiday. But hey. That’s the way it was supposed to be. Say what you will, but no harvest parties, fall festivals, rituals, dogmatic replications or sanitized pagentry substitutes will ever supplant devils, spectres, goblins, apparitions, poltergeists and nether-plasma that populate that holiday. At not ONE time, have I found myself at a red light, idling behind a Honda Fit with a bumper sticker saying Let’s Keep Satan In Halloween. The earnest All Hallow’s Eve Lobbyist isn’t around–because he isn’t needed. Christmas–the actual birth of Christ–was somehow displaced by another quasi-omnipresent, overweight philanthropic elf. Yeah, yeah. He keeps lists, too. he knows who’s been naughty and nice. He also could care less. So the birth of Christ has a cool name, but it has been car-jacked without being lo-jacked. We keep having to rescue it when we see it on the road. Somehow, the Death, Burial, and Resurrection–the things that actually comprise the structural underpinnings for Gospel message–gets a name all washed out like “Easter.” Now I realize, the name might have deep significance, but along the line the mental picture raised when invoked has little to do with sin, redemption, power, separation, abominations, darkness, death, rejection, salvation, sacrifice–along with the earthquakes and subterranean thunders that raised the dead. Nope. I smell vinegar and water colors,and see baskets of appallingly-ugly colored grass. 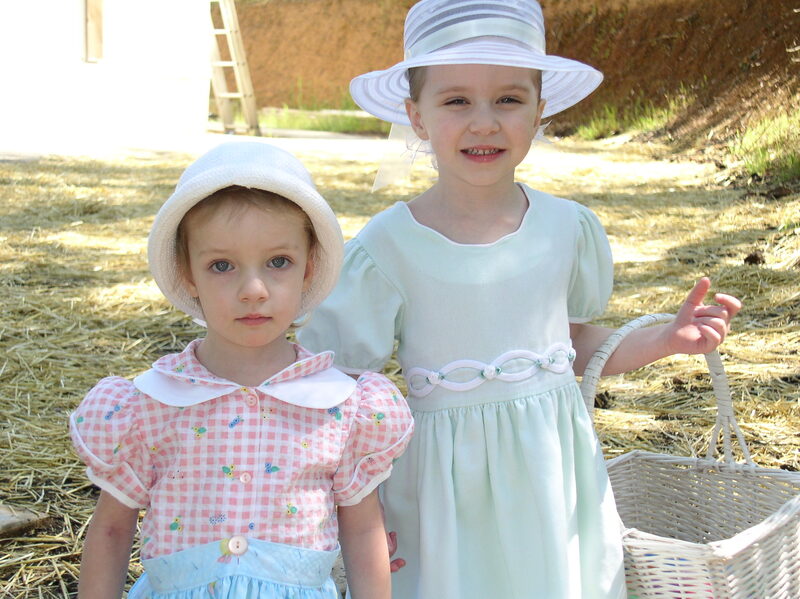 The only real warm rush of nostalgia are the memories of my girls looking for eggs in their little Sunday dresses. Good Friday–just let that sink in for a minute–stands as the most paradoxically-named one of all. 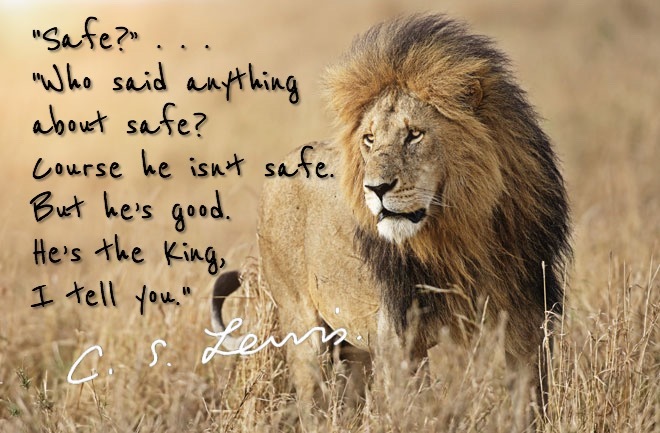 Yes, it was good — but it certainly wasn’t safe. SOLIDERS: Stand aside, foul hooligans, we are taking this rogue hippy to crucify him! JESUS: (picks up ear, puts it back. heals soldier, and all are amazed). My kingdom will not be established by the SWORD! And before anyone thinks I’m being sacrilegious, I’m not. My lack of gravity here and on purpose is illustrating the lack of gravity we are guilty of–in the latent sense. Occasionally, I’ll hear a minister broach the subject of the Crucifixion–you know, the details; the cross, the beatings, the floggings–all of that. That was also the main idea behind the supposed, visceral “controversy” behind Mel Gibson’s, The Passion of the Christ. But the thing about that film that really nailed me was the Garden scene. Sad as it may seem, it took an R Rated film to shake me into the understanding that the betrayal and ultimate arrest in the garden scene was one of chaos and wrath, testosterone and flailing, misappropriation of closed-fist blows, delivered in the sheer and gritty dark of the night. Haymakers weren’t making hay and most likely a Roman soldier took some friendly fire in the execution of their duties. Physical conflict between angry, passionate men is an ugly, ugly process. Chances are the only people that perhaps knew a soldier’s ear had been lopped of are Jesus, Peter, and the agent of said ear. Chaos, and the “fog of war” have a way of diluting the immediate nature of even major bloodlettings–The point being: Jesus knew, and He made sure to say right then and there–His Kingdom would not be established by the sword. 1) Kill him and fulfill it–even though you hate him? 2) Keep him alive and frustrate the little, algorithmic rundown he’s been putting out? Naturally, the second would be obvious. But it doesn’t seem to work that way, does it? And it isn’t working that way now. And I can put one word out there that will illustrate it. Every last prophecy points to a day when all the nations of the world will come against Israel. All it takes to nullify the horrors that follow that prophecy is to not treat Israel like we should treat a legitimately hostile axis power. Seems easy enough. But it isn’t heading that way at all, is it? Just like some prophecies were laid out, thousands of years in advance pointing to a specific crucible–a specific moment, in which a man would be profiled, framed, given a sham trial, and killed. It was all right there–for everyone to see. And the blind not only missed it. They fulfilled it. Jesus’ closest confidants were demoralized, beaten down, under surveillance,and ultimately de facto enemies of a state that was predisposed to hate them without any logical arc. Yet–there was a Sunday. Such is now. Friday–on the world stage–is almost here. This is no time for swords and angst. It’s about simply carrying on until Sunday arrives. Good Friday is good. It just isn’t safe. This entry was posted in Faith and tagged C.S. Lewis, christmas, Easter, good friday, halloween, Israel, Jesus Christ, Mel Gibson, Passion of the Christ, Prophecy, Wicca, witchcraft. Bookmark the permalink. That is awesome. I’m not steeped in Tolkein as much as I perhaps should be, so I missed that completely! That quote was Gandalf talking to Bilbo at the end of “The Hobbit.” The books are much richer and deeper than the movies that were made from them. Tolkien was a Catholic and his faith influenced his writings. His experience as a soldier in WWI probably influenced his work, as well. The war was exactly the crucible that forged “Mere Christianity” for Lewis, too–the book is a distilling of modular radio broadcasts by Lewis. Interesting how the war had such a big effect on both of them, how they both had great literary careers founded in their faith, and how they were both good friends. True. There is a popular narrative however, that says Tolkien was highly critical of Lewis’ work – – – when the converse wasn’t true.